Website owners may also wish to monitor aspects of customer behaviour, for example, the entry points where customers arrived at a site, the pages they looked at, including how long they spent there and the keywords used when searching the site. One popular application for monitoring customer behaviour is Google Analytics, a free service offered by Google that generates detailed statistics about the visitors to a website. 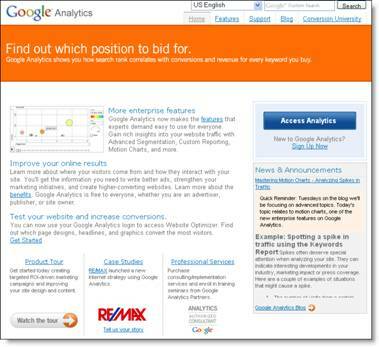 Google Analytics is aimed at marketers rather than webmasters and technologists.